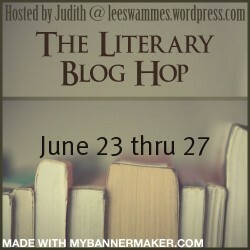 Over 50 blogs participating all offering one or more giveaways of literary (non) fiction or bookish items. One winner can choose one book from the six pictured below which will be sent from the Book Depository. In keeping with the theme of A Victorian Celebration which I'm participating in during Jun/Jul my choices for this giveaway are all classics by Victorian authors - Vintage Classics editions. The Mill on the Floss by George Eliot.......tells the story of Maggie Tulliver and her brother Tom as they grow from children to young adults in a small English rural town. North and South by Elizabeth Gaskell........leaving a rural idyll in the south of England, Margaret Hale is initially shocked by the social unrest and poverty she finds in the north. The Tenant of Wildfell Hall by Anne Bronte.........when the mysterious and beautiful Helen Graham becomes the new tenant of Wildfell Hall rumours immediately begin to swirl around her. No Name by Wilkie Collins.........after the tragic deaths of their parents, Magdalen and Norah discover the devastating news that they are both illegitimate and not entitled to any inheritance. Our Mutual Friend by Charles Dickens........John Harmon returns to England after years of exile to claim his inheritance: a great fortune and a beautiful young woman to whom he is betrothed, but has never met. The Way We Live Now by Anthony Trollope.........when the Melmottes arrive in London everyone agrees their manners are wanting, their taste is excreable and their lineage and background decidedly shady. But their money is far from revolting! which book is your choice if you win. Entries will close 8am Thursday 28th (NZ time) - this will be UK 8pm Wednesday 27th.. The winner will be chosen by random org. , contacted by email and will have 48 hrs to respond - no reply and I'll draw another winner. 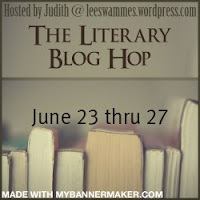 A list of all Blog Hop participants can be found here. I'd love to win The Way We Live Now, thank you! I'd love to win No Name by Wilkie Collins. Thank you! I would love to win the Mill on the Floss by George Eliot. Thank you! Thanks, and I hope you're enjoying a little hopping of your own! I either own or have read your selection, so please accept my warmest wishes on enjoying the hop. and the abyss of the soul. Oh my God, I'm so happy! 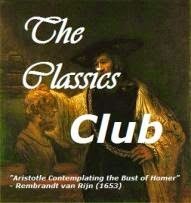 I'm trying to read all the classics I can. I love them recently! My choice would be The Tenant of Wildfell Hall by Anne Bronte or The Mill on the Floss by George Eliot. It's hard to choose! Oooh, I love Vintage Classics editions! I genuinely can't decide between North and Sounth and No Name. Either would be wonderful, and it's always nice to have an element of surprise! Thanks so much for the giveaway. I'd love the Antony Trollope book - I think the same principle applies now!! I'd love to win The Tenant of Wildfell Hall please. 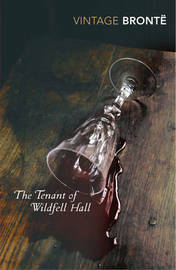 I read Agnes Grey by Anne Bronte last year and liked it, but I've heard Tenant is even better! Thanks for the giveaway - its difficult to choose between the titles you have offered! I would have to go for The Way We Live Now by Anthkny Trollope. Wow, great titles! I would love to win North and South by Elizabeth Gaskell...it's a classic I've been wanting to read. What a nice selection of books! Thanks so much! I'd choose NORTH AND SOUTH. I've never read Gaskell before and that seems a good one to start with. I think I would choose No Name. It sounds interesting. I would pick The Way We Live Now. Thanks for the chance to win! I would love to win North and South by Elizabeth Gaskell. Thanks for the giveaway! Great giveaway! I love the covers of these books. I might have to look into purchasing a few myself. I would love the copy of The Tenant of Wildfell Hall by Anne Bronte. Hi, I would love to win North and South by Elizabeth gaskell. I'd choose Our Mutual Friend by Charles Dickens. Thanks for this giveaway! Ooh, I love the theme of your giveaway. I would pick North and South by Gaskell. I've been meaning to read something of hers for a while now. Thanks for the giveaway. What a wonderful selection of books. I have read many of these so I choose No Name by Wilkie Collins. Thank you. What a wonderful list to pick from. Thank you so much for the opportunity. I would go with The Tenant of Wildfell Hall. I'd love to win The Mill on the Floss. Thanks for the giveaway! 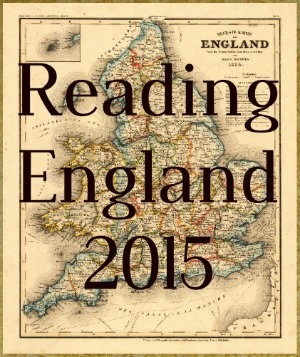 I read Gaskell's Cranford recently, as part of the celebration, and really enjoyed it. I also read Agnes Grey by Anne Bronte and enjoyed that, too. So difficult. BUT I did make a commitment to read all the Bronte sisters' works, and I haven't yet read (nor do I own) Tenant of Wildfell Hall... so I'd like to win that! I'd like to win No Name by Wilkie Collins. Thank you for the opportunity and great choices. I would choose the Tenant of Wildfell Hall! Thanks for the giveaway! I'd choose The Mill on the Floss. Thanks! 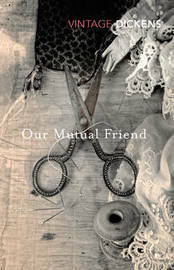 And if ever given the chance, I'd love to have "Our Mutual Friend" by Charles Dickens. I love to win The Way We Live Now by Anthony Trollope. Thank you for the great giveaway! Great editions. I'd go for the Wilkie Collins as it's the only one I'm yet to read. Enjoy the hop! I'd like to try the Elizabeth Gaskell - thanks for the chance to win it! Thanks for the giveaway, would love No Name by Wilkie Collins as it's the only one by him I don't own! I would love to read Our Mutual Friend by Charles Dickens. I would LOVE Our Mutual Friend by Charles Dickens! Thanks. I'd love to have The Way We Live Now. I'd love to read The Tenant of Wildfell Hall by Anne Bronte. I would love to win The Mill on the Floss. I've yet to read anything by Eliot and would love to. Thanks for the giveaway. 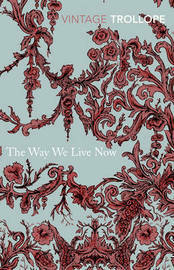 Hello, I would love to win 'The Way we live now' by Anthony Trollope. thanks! Difficult choice! I think I'd choose: The Tenant of Wildfell Hall by Anne Bronte. North and South, I think, would be my first choice. Thanks for the giveaway! What beautiful books - I think I'd go with No Name, being a bit of a Wilkie Collins fan. It's hard to choose, but I'll go with The Way We Live Now. Would you believe that I've never read Anthony Trollope??? Those book covers are gorgeous! I would pick the Gaskell, but I read it already and have a copy of it. I have been wanting to read Wilkie Collins, so that would be my choice. Thanks for participating in the hop and for the giveaway opportunity. If I were to win, I'd want the Tenant of Wildfell Hall. Victorians ! Awsome...I would love to join, please enter my name. Should I be the winner, I would choose "The Way we live" by Trolloppe. I would pick the Gaskell! bibliophile at bostonbibliophile.com. Thanks for the contest! I love Dicken's novels so I'll pick Our Mutual Friend. 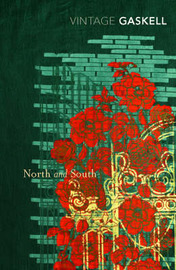 I would love to win "North and South", you can reach me at lisabethc@gmail.com. Thanks for having this giveaway! Those editions are gorgeous! I'm in the middle of the Victorian Celebration right now and I love the books from that period. 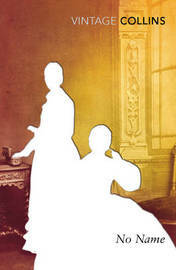 I would love to win a copy of North and South by Elizabeth Gaskell. I really enjoyed Cranford and have been wanting to read that one. Love these book choices. I'd like to win The Way We Live Now by Anthony Trollope. I've always wanted to read his books but haven't yet so I hoipe I win your giveaway! 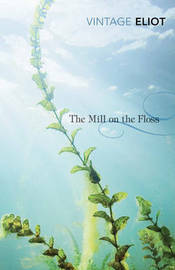 I'd like The Mill on the Floss by George Eliot. I don't have my own copy of The Mill on The Floss, so I'd like that if I win. Thank you for the giveaway! Hi and thank you for your generosity! My choice would be Our Mutual Friend if I won. Again, thank you so much. Those covers look amazing! Thank you for the chance to enter for this one. Such gorgeous books! I own some of them (and North and South is a particular favourite!) but I'd like to buy them all because those covers are so stunning! Anyway, I'd like to enter for The Mill on the Floss. I would choose Our Mutual Friend! thank you for the giveaway! I'd pick The Mill on the Floss. I'd like The Mill on the Floss by George Eliot. Thank you! I'd love to have The Way We Live Now, and be better acquainted with Trollope's works. I would love to win Our Mutual Friend. After doing all that I could to avoid Dickens while in school, I find myself drawn to his works as an adult... go figure. I would probably choose The Mill on the Floss. Wow, Vintage series books, love them :) I've yet to read a book by Wilkie Collins, so that would be my preferred choice. Thanks for this giveaway! I would choose No Name :) Thanks for the giveaway! Tough choice but I think I would have to go with No Name. I would like to be entered for The Way We Live Now. Thanks for the chance.